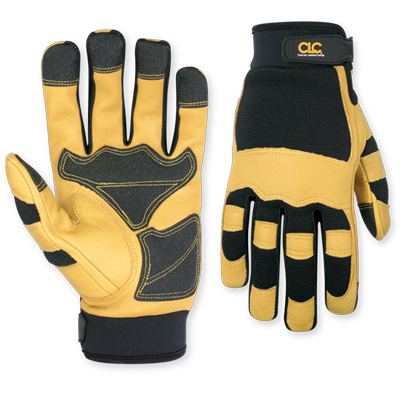 A premium quality goatskin glove, our CLC Hybrid™ gloves combine supple leather with a breathable spandex back for durability and comfort, with a reinforced palm and fingertips, plus a neporene wrist cuff to help keep debris out. Top grain goatskin leather with PVC reinforced palm work gloves. Neoprene cuff with hook-and-loop wrist closure. Leather patched, foam padded knuckle. Stretchable lycra finger side panels.